How will your site run on a WebP Diet? 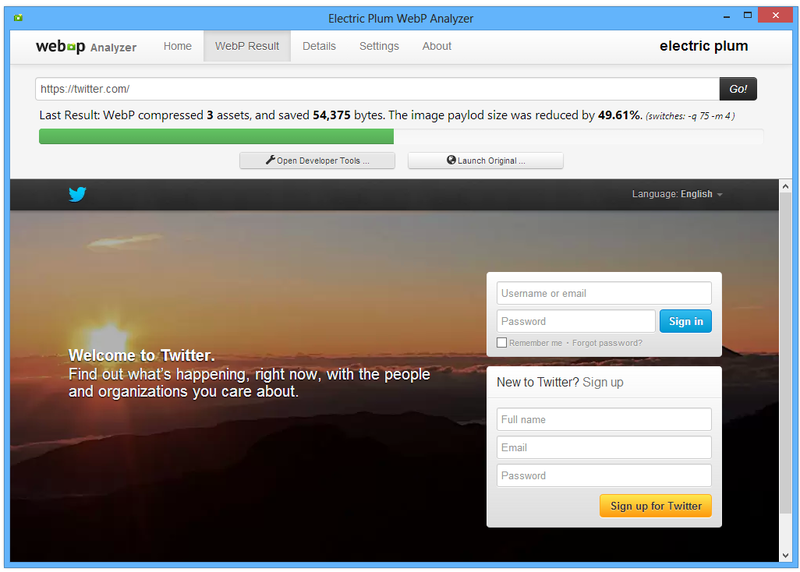 WebP is a new image format from Google that provides lossless and lossy compression for images on the web. WebP lossless images are 26% smaller in size compared to PNGs! 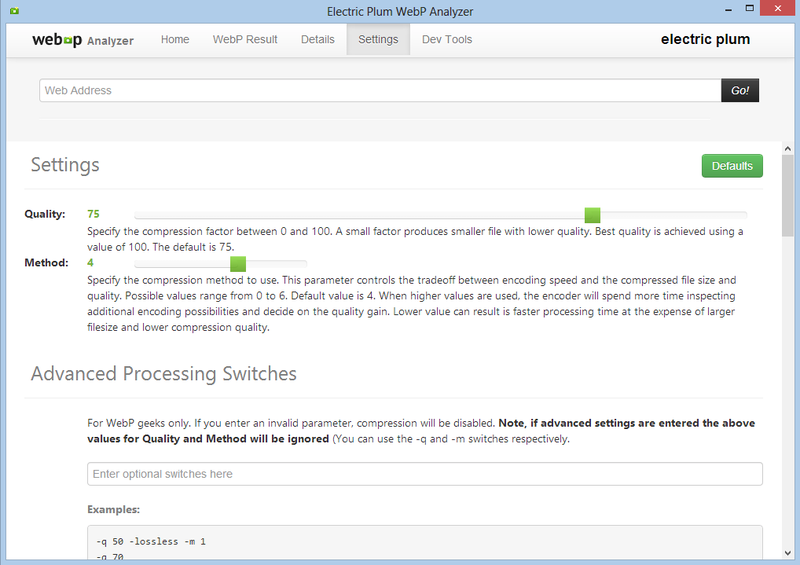 We're excited about the possibilities for a faster Web, so we've developed The WebP Analyzer for Windows. 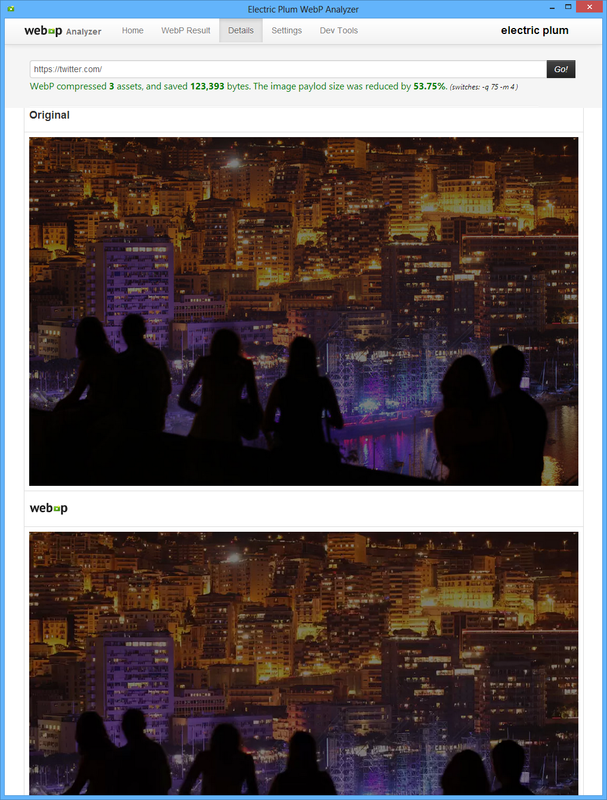 View your site live, with WebP Image Compression - No code changes. Project your asset size, and bandwidth savings. Find out what Facebook, Google, and Mozilla are so excited about. Point this FREE Windows developer tool at a page, and watch as it dynamically converts all the candidate assets in real time, showing you exactly how the page would render if you replaced all the .pngs and .jpgs with .webp! 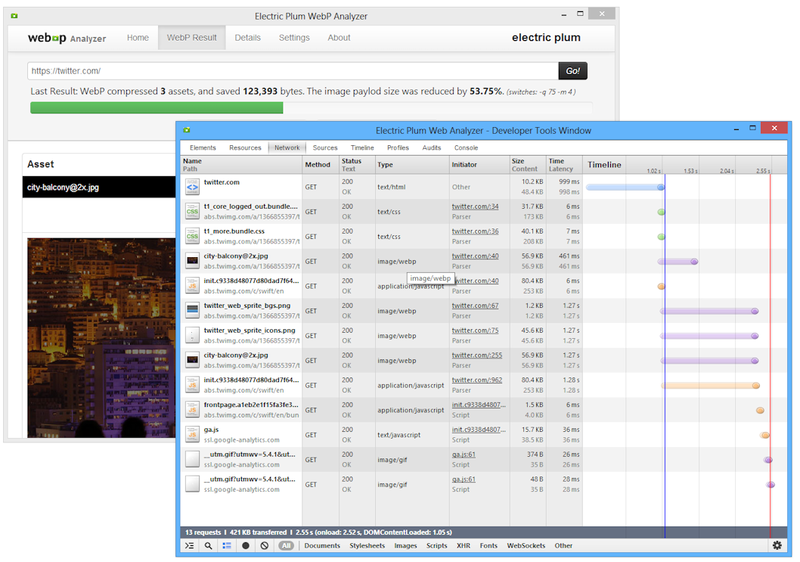 Tweak settings, analyze, and make the Web faster.